What is an Oklahoma Last Will and Testament? 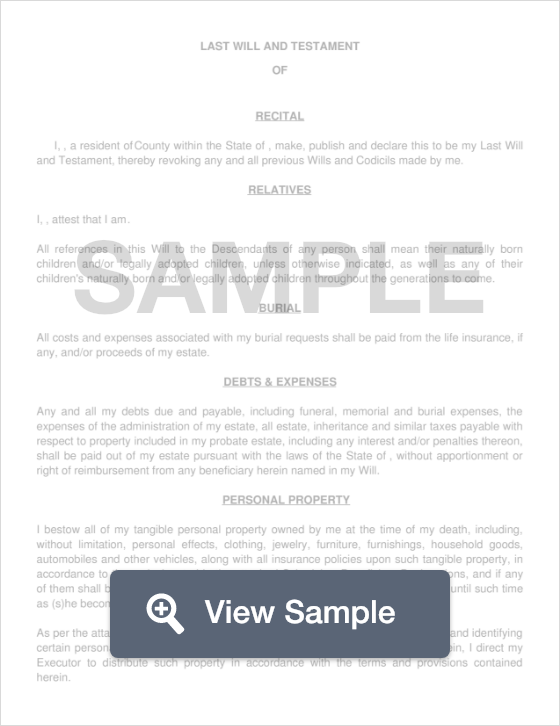 Oklahoma Last Will and Testament: What Is It? In Oklahoma, a Last Will and Testament is a legal document that a Testator (the man or woman creating the Will) can create and give to their attorney and beneficiaries that delegates exactly what their wishes are in regards to their property and assets. This allows a Testator to legally pass their belongings, money, property and whatever else they choose to family, charity, a spouse, their children, or anyone else they choose. In Oklahoma, this becomes a legal document once it is signed by two Witnesses, and notarized by a Notary Public. Witnesses - According to 84 OK Stat §84-55, the Will must be signed by two (2) witnesses in the presence of the Testator. Will your spouse be a beneficiary? Provide information like children’s names, living status, insurance policy contact information, policy numbers, etc. Provide the name of the person you wish to set up a Trust for. Setting up a Trust for someone who receives government aid, can prevent any eligibility issues.